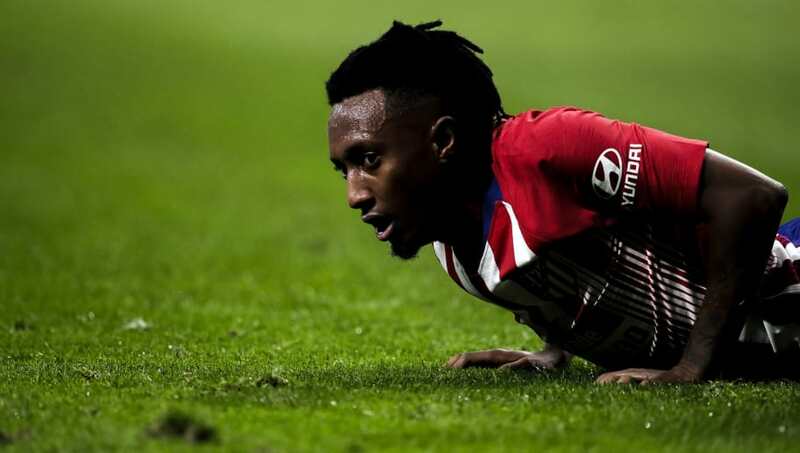 ​Newcastle United have joined Arsenal in the race to sign Atletico Madrid winger Gelson Martins, who has failed to make an impact in La Liga since his summer move from Sporting CP. Martins joined Atletico in the summer of last year after rescinding his contract with Sporting, after an attack on the club's training ground by supporters left the changing room vandalised and players hurt. However, Martins' time at Atletico hasn't gone so smoothly so far, with the 23-year-old playing just 224 minutes of action in La Liga this season. According to AS, Atleti are ready to cut their losses on Martins, with Alvaro Morata's arrival from Chelsea imminent. Newcastle join Arsenal and Monaco in the race for the Portuguese's signature and would be willing '€4-5m' to secure his transfer until the end of the season. The report gives hope to both Rafa Benitez's side and Arsenal by claiming Martins, who made the UEFA Europa League Squad of the Season in 2017/18, has a preference to move to England. While Arsenal are only able to do loan deal this window, Benitez is at loggerheads with Mike Ashley and the Newcastle board over funds for transfers, as ​reports claim the former Liverpool and Chelsea boss will leave St James Park if his targets are not signed this window. In addition to Martins, Benitez is still keen on Atalanta United's £16m-rated Paraguayan star Miguel Almiron, as well as finding a new left back. However, progress on new deals has been glacial amid Newcastle's continued takeover talks.